After years of service to the University of the Fraser Valley, Harv McCullough has retired from his position as dean of Trades and Technology. During his 33 years at the university, Harv has held many position titles. Starting at UFV in 1978 as a carpentry instructor, he became the Trades’ co-coordinator in 1985. From 1988 to 2003 he worked as the director of Trades training, before becoming dean of faculty of Trades and Technology. While Harv is retiring from his current position, he is not leaving the university completely. He will remain on as the President’s adviser on community development and partnerships. The position of dean of Trades and Technology has been filled by John English. 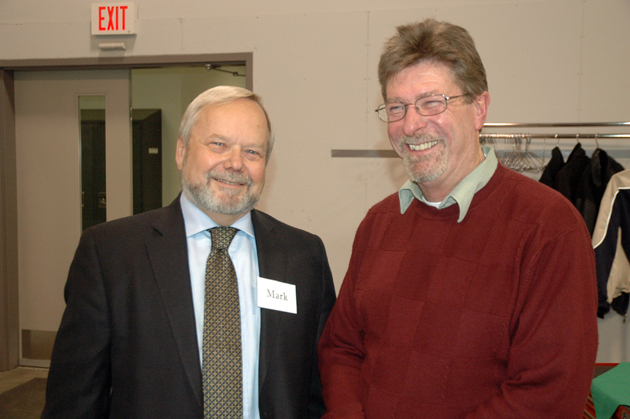 To celebrate his many successes, a party was held for Harv at the Trades and Technology building in December. A “goodbye” was also hosted in early January at Abbotsford’s U-House.